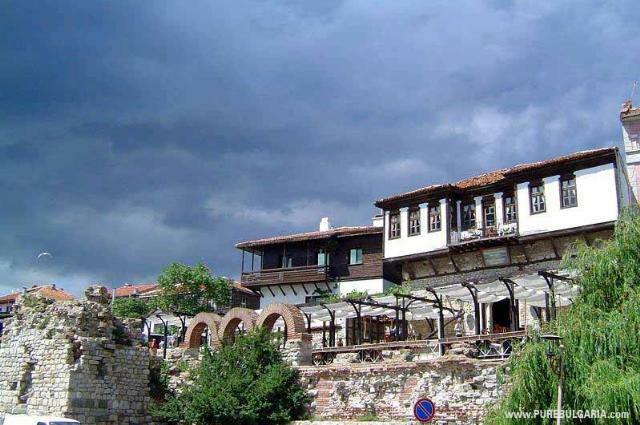 Nessebar is one of the oldest towns in Europe and the richest in architectural monuments from medieval Bulgaria. Thracian era: The first settlement on the peninsula was established in 3000 BC. 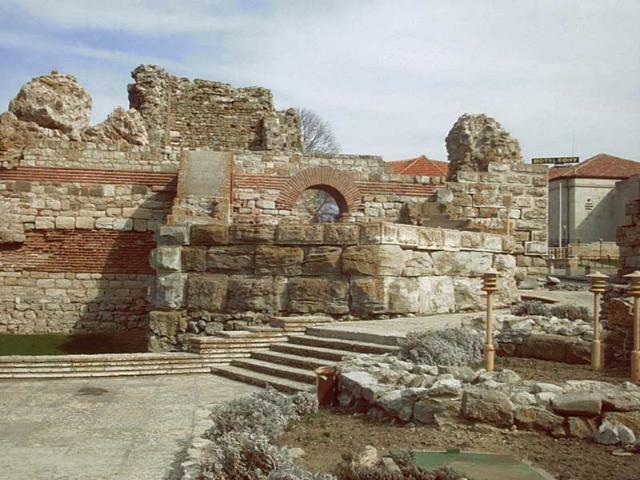 There lived the Thracians in the earliest period of the history of Nessebar. They gave the town its original name – Messambria. Hellenic era: By the end of 6 th century BC Nessebar was already a Greek colony, created as a polis by settlers from Calchedon, Byzantion and Megara who named it Messemvria. The polis traded with the entire Eastern half of the Mediterranean. In 5 th century AD in Nessebar started the mintage of coins from silver and bronze, and new research shows that during this epoch the mints in the town also stroke coins to other poleis' order. Roman era: It put a period to one of the most glamorous periods in the life of the millenary town. The vast Roman Empire gradually devoured the whole Mediterranean world and our Black Sea towns remained in its periphery. 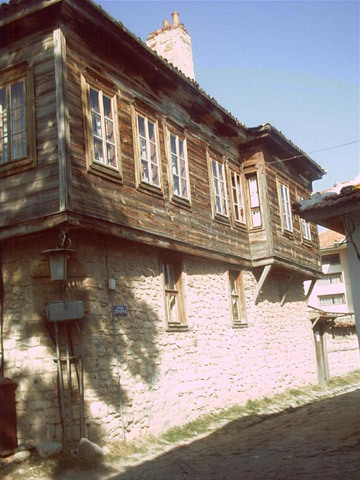 Byzantine era: In 330 AD, with the capital of the Empire moved to Constantinople , the whole Black Sea coast from a recently remote and peaceful province found its location to be in the foot of the walls of the huge new centre. Thus Nessebar awakened to a new life. The sturdy town wall was rebuilt. 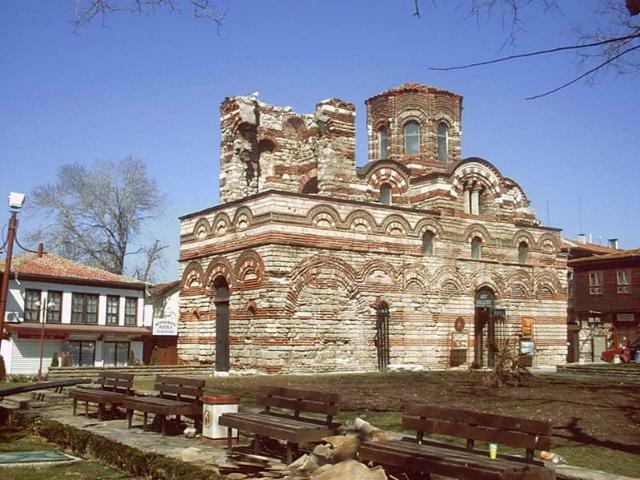 Some of the earliest churches in Nessebar date back to the Byzantine epoch (5-6 th century). 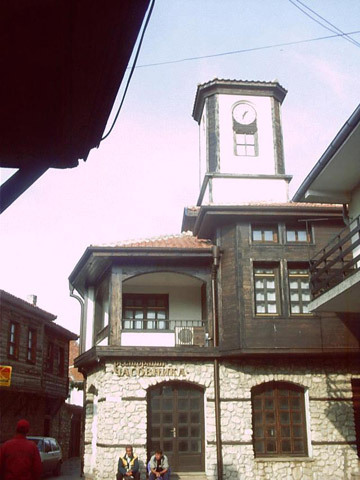 Bulgarian era: After the Bulgarian state was established, Nessebar's significance increased even more. 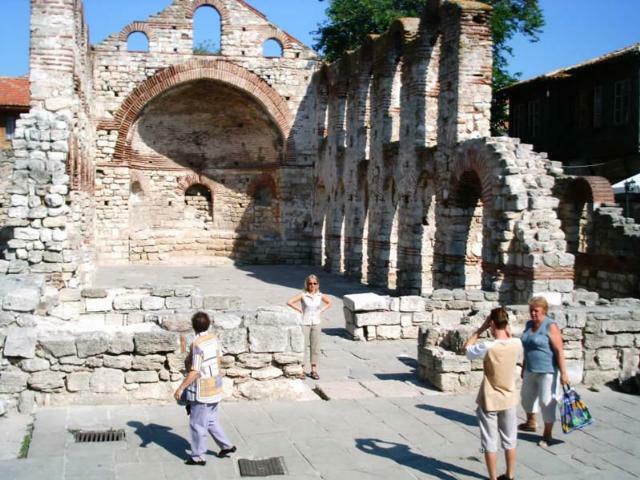 The town vicinity was used for two centuries by the Byzantine emperors to wage major military campaigns against Bulgaria. In 812, Khan Krum captured the town. 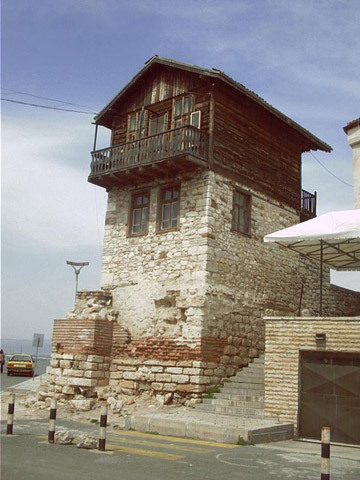 The apex of Nessebar during that epoch was under Tsar Ivan-Alexander.